Back to our regularly scheduled updates! 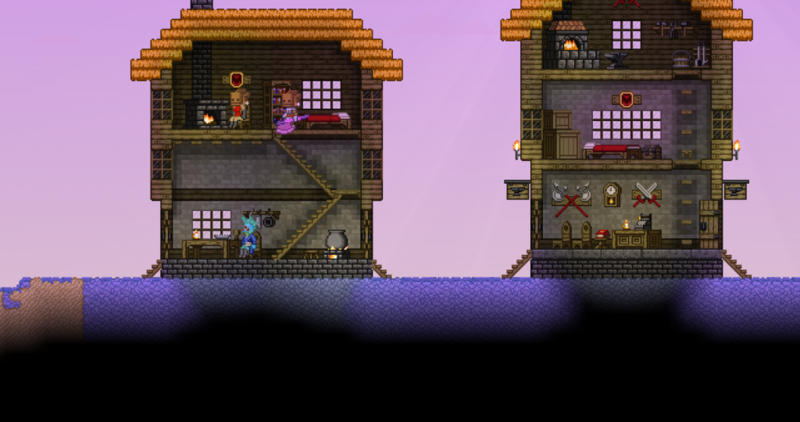 We’re still working on NPC AI! NPCs are currently sitting around, going to sleep when it’s night time, and more advanced pathfinding is in the works so that they’ll stop bumping into obstacles. Getting there! 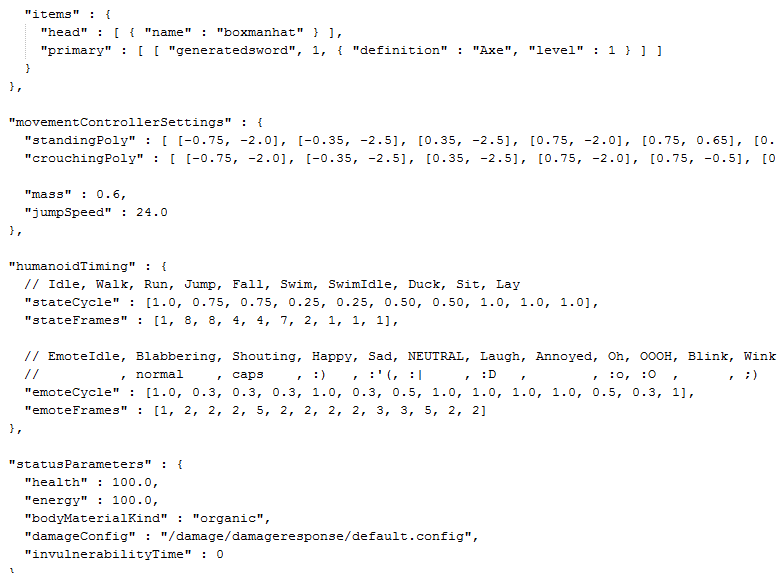 NPCs are configurable via JSON and LUA files, like…most other things, really! 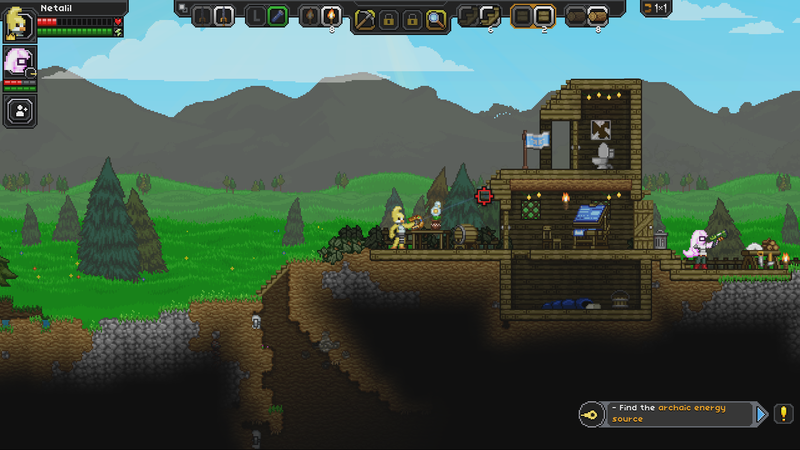 Once this system is fully in place, we’ll be able to easily spawn NPCs of different types. “What do all of these words meeeeannn?” Here’s my best attempt at explaining! So NPC types define things like what the NPC may be wearing, their health and energy stats, default dialogue towards each race (not shown), and other elements of NPC behavior. 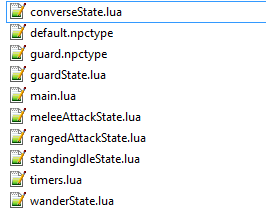 The second type of .npctype file you see there is for guards, which would obviously have different dialogue, different equipment and behaviors. …here’s a rather interesting couple wearing a hat you may recognize from the Create-a-Hat Contest. 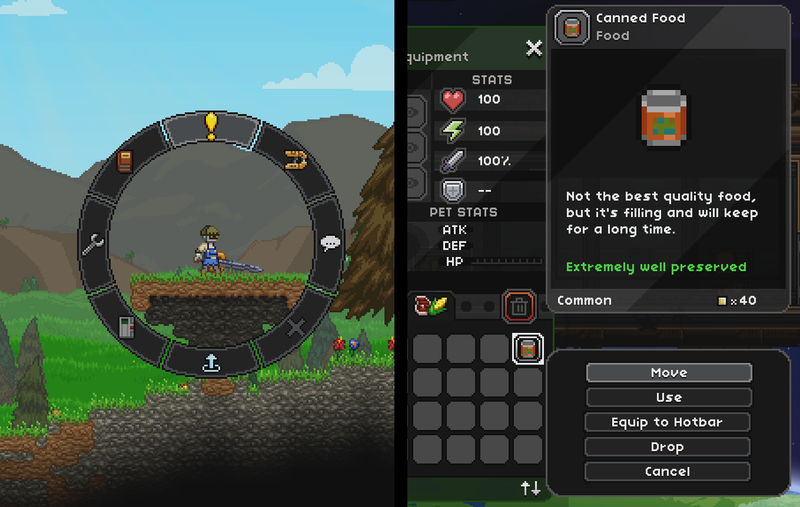 Most of what we’re doing to prepare for beta involves configuring each tier of the game– implementing the relevant objects, configuring things like ore spawn rates, monster types/abilities, finishing up dungeons, etc. We’ve also still got folks working on minibiomes, which are ever-useful in adding some diversity to the landscape.